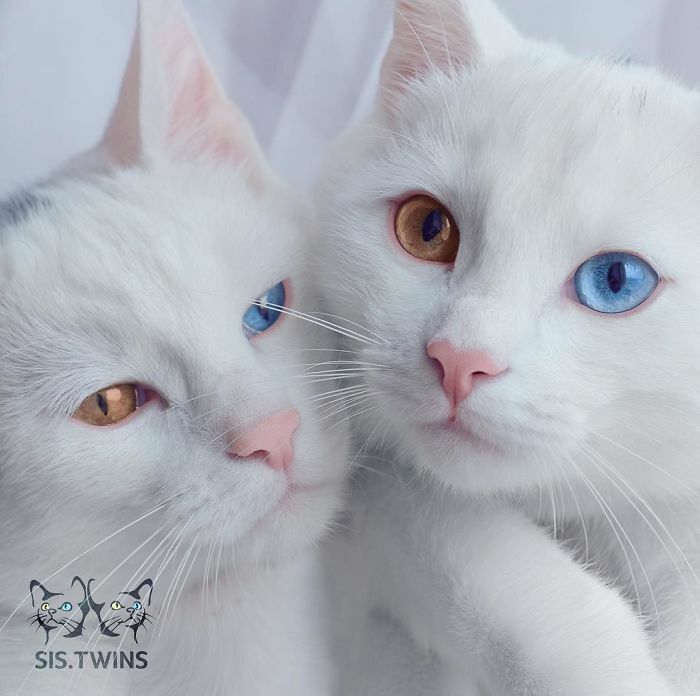 These two cats are Iriss and Abyss and they are the most beautiful twin cats in the world. 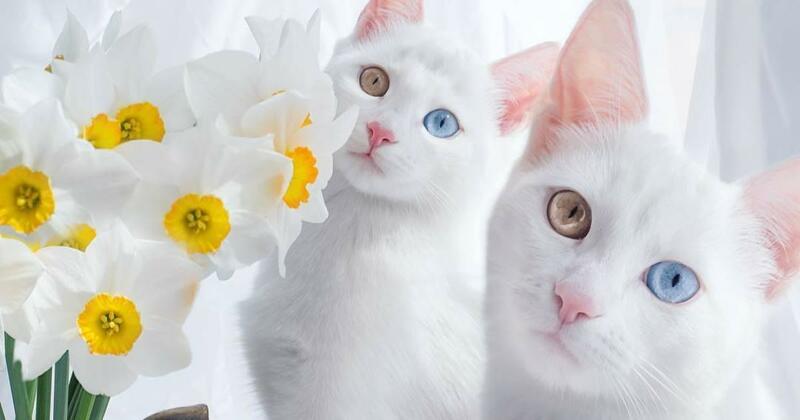 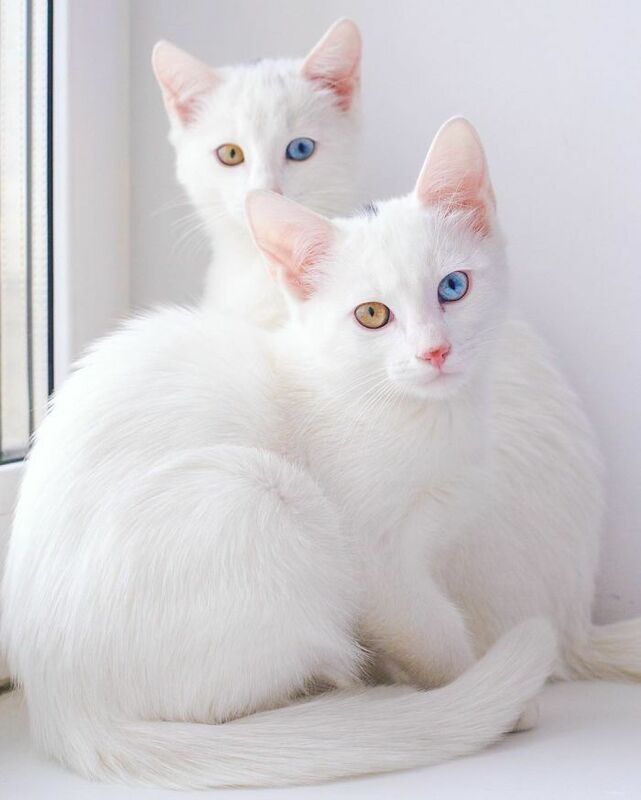 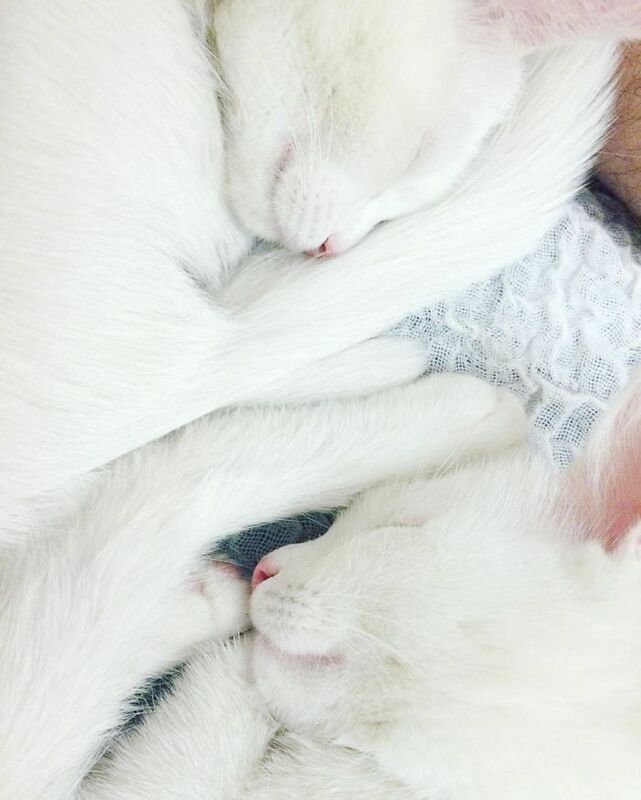 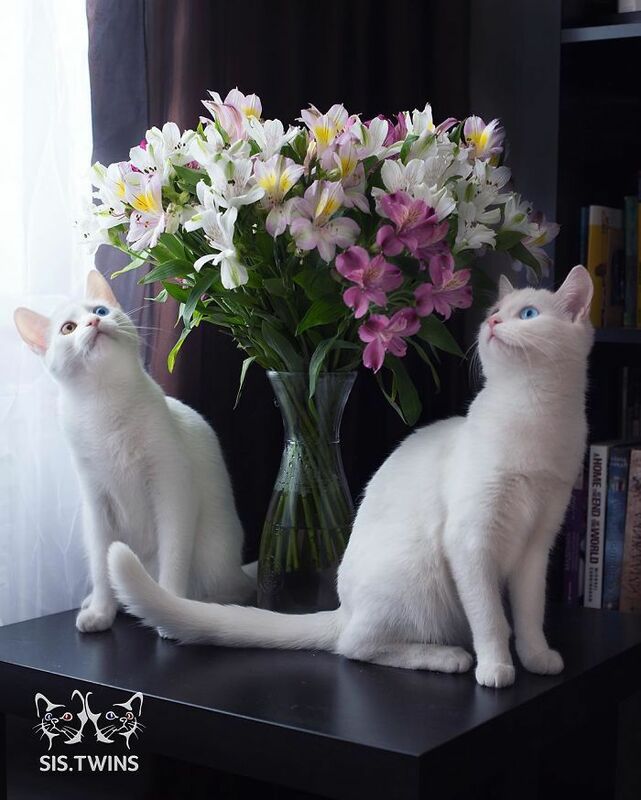 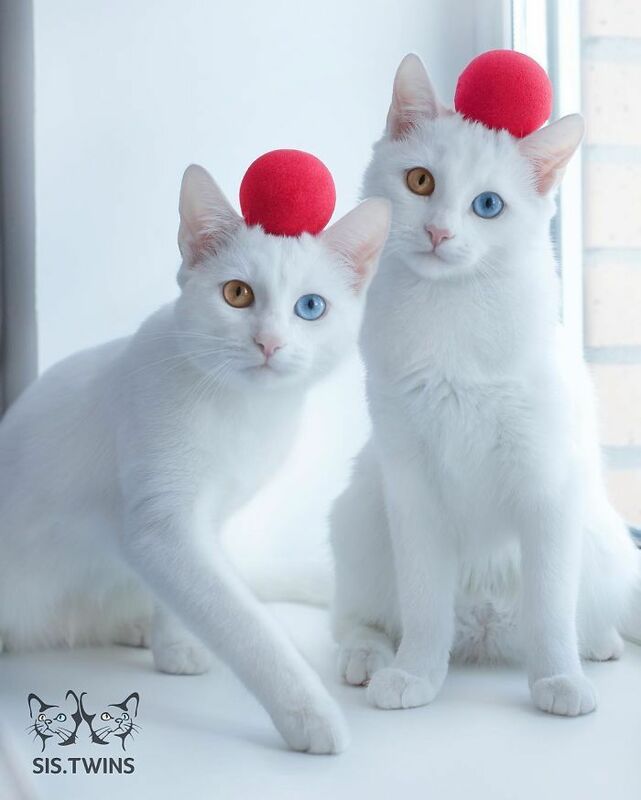 As you can see from the picture that they have the same heterochromatic eyes, meaning that they are of different colour, e.g. 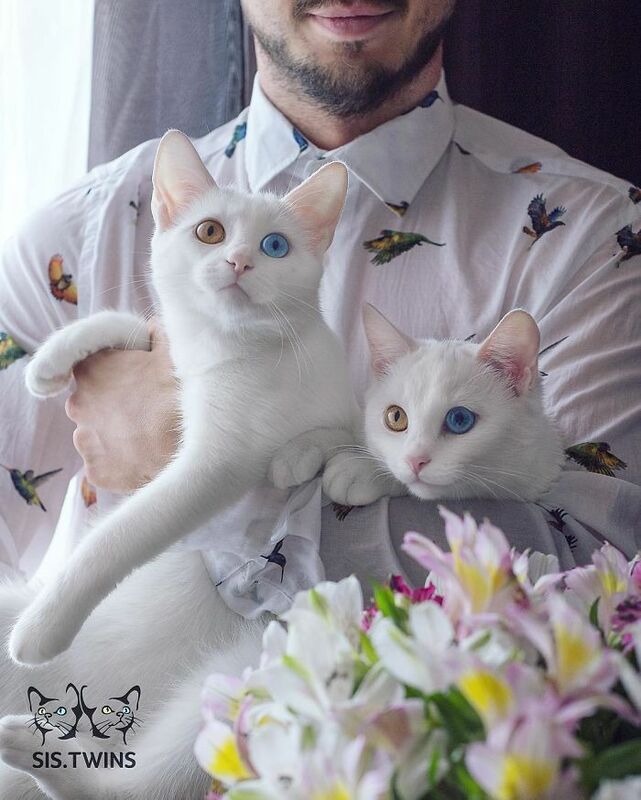 one of the eyes might be green and the other might be blue or brown. 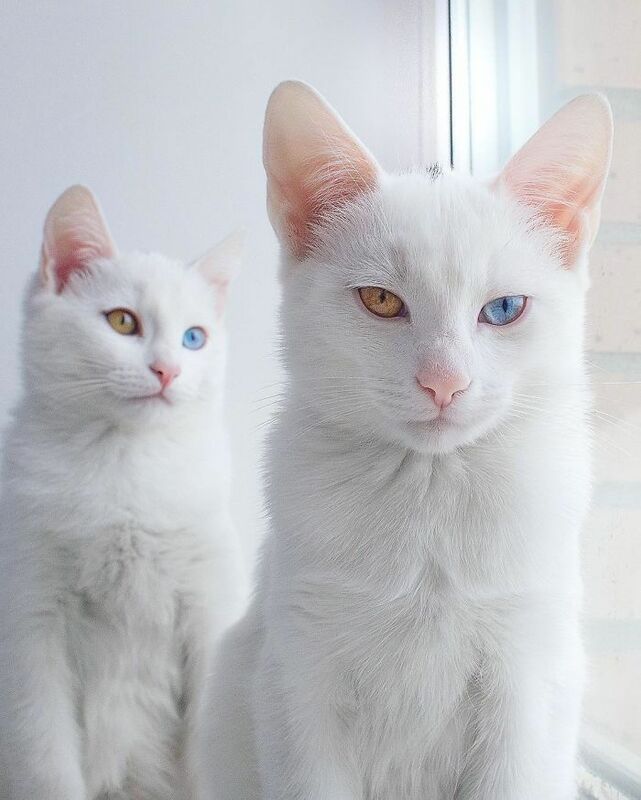 According to legends, creatures with different colour eyes are able to witness both worlds – belonging to the living and the dead. 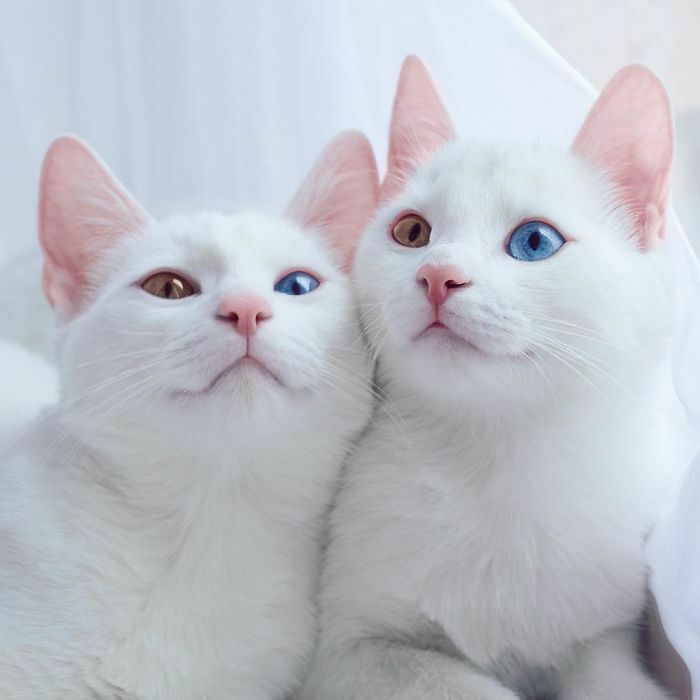 While we have no idea if that is actually true, we definitely know for sure that these heterochromatic eyes are amazing. 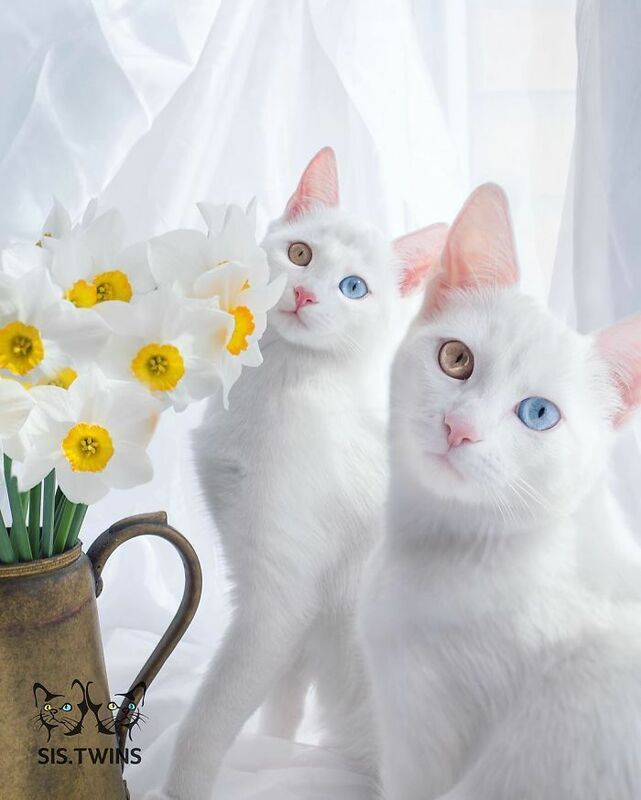 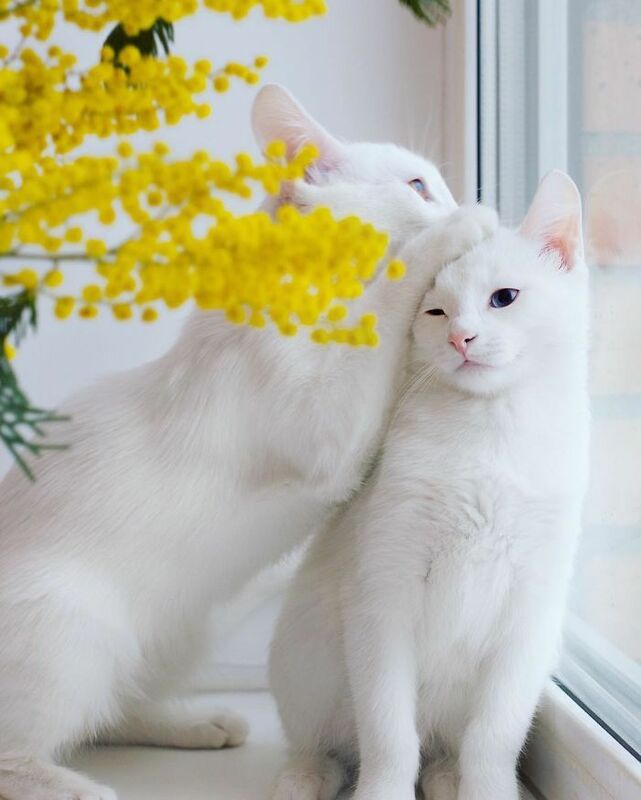 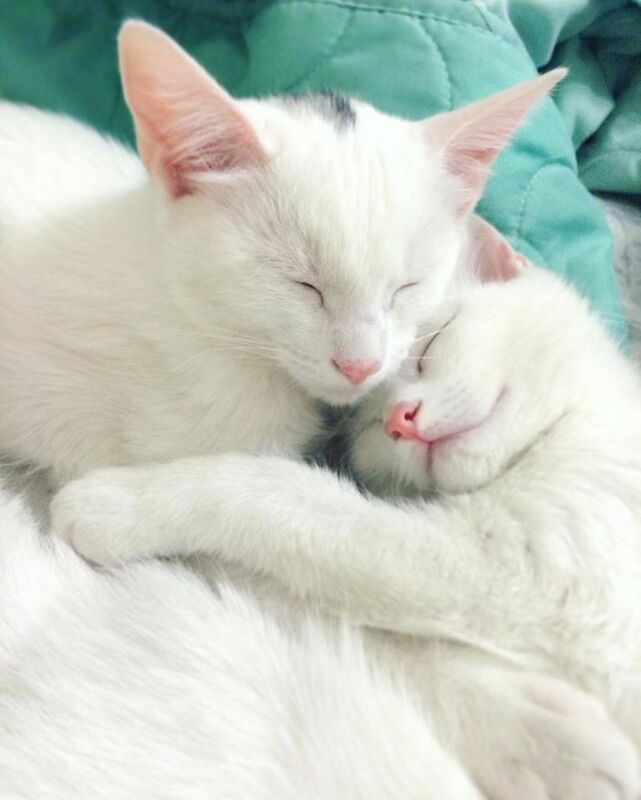 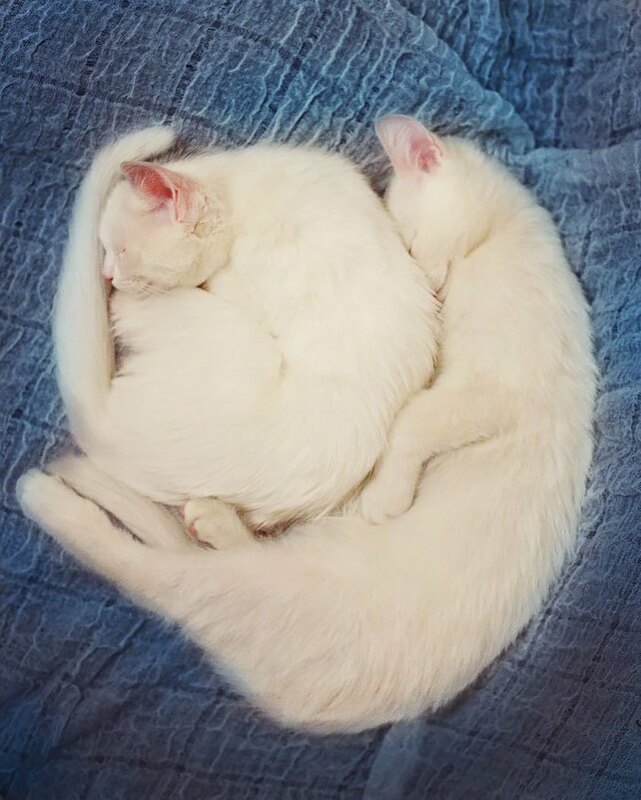 Check out the pictures below to get amazed – these cats are so adorable!